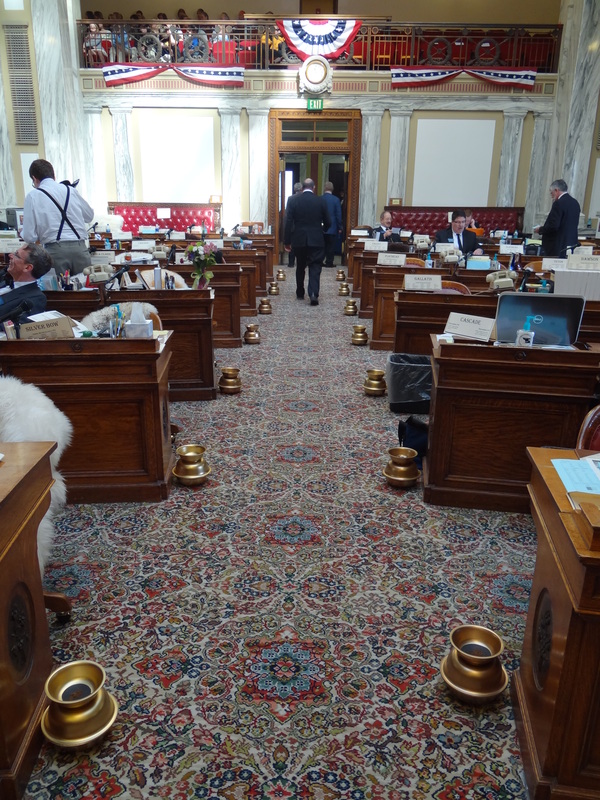 No, the center aisle of the Montana House of Representatives is not normally lined with spittoons–just today, in an homage to the past. The likes of spittoons, top hats and ascots were common place 100 years ago, when the current House Chamber was first used. To celebrate, House members are trying to bring it all back. The chamber itself has been re-decorated, House members and staff are dressed in period clothing, and today’s floor session even features mock debate on bills from the 1913 session. 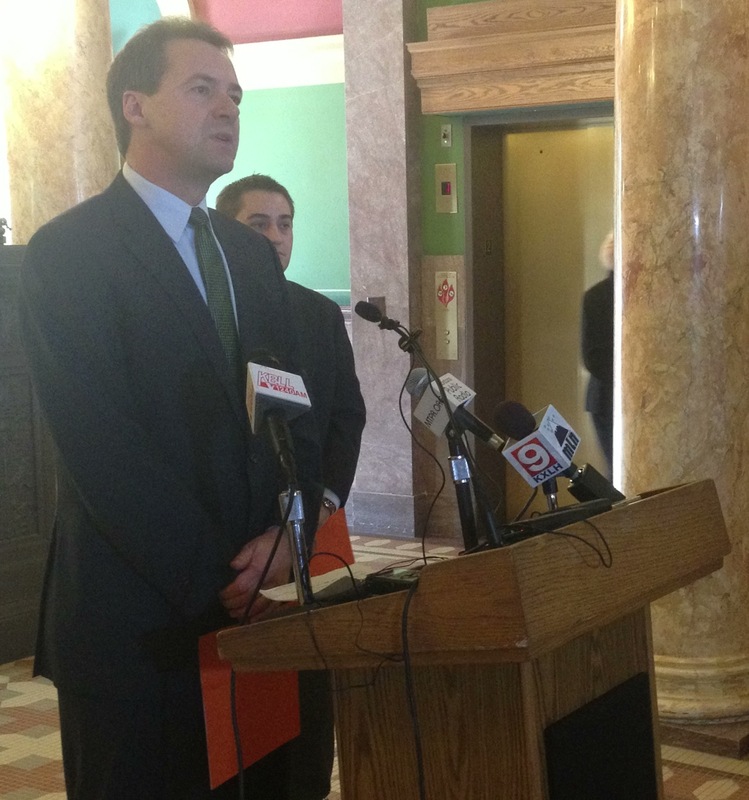 “This occasion only comes around every 100 years,” House Speaker Mark Blasdel (R-Somers) said in a press release. The Legislature has just returned from its transmittal break and Blasdel says the schedule was light enough to swing this re-enactment. Democrats in the Montana Legislature do not have nearly the power of their Republican counterparts. The GOP controls both the House and Senate and are able to set much of the agenda. But Democrats do control the Governor’s office, and therefore, the power of the veto. Capitol Reporter Dan Boyce tells us Governor Bullock has not yet used his veto pen, and he’s staying quiet as to how he will exercise that authority.